Is the contract monthly or yearly? Our maintenance contracts are set up on a monthly basis. The bill you receive each month will be for services provided the previous month. We can also set your account up to be billed in equal monthly installments. For more information, contact us to go over your specific plan or project. Do your crews speak English and can I talk with them if needed? Yes. Every crew member speaks English and can communicate with the customer as needed. If you have a question or concern, it is preferred that you contact the office. This way, if any changes or modifications are required, they are properly documented and accounted for. Should I request to have the grass clippings bagged? Grass clippings should not be bagged if the lawn is being mowed properly. Ideally only 1/3 of the grass blade should be cut during any mowing. Clippings contain nitrogen and other nutrients. When returned to the lawn, clippings recycle nutrients in an organic, slow-release form that promotes steady grass growth. Grass clippings break down quickly and also encourage the beneficial earthworms and microorganisms that maintain healthy grass and healthy soil. What height do you mow the lawn? Mowing heights vary during the mowing season, depending on current weather conditions. Lawns are most healthy when mowed at 3 to 3.5 inches. To prevent grass from matting over the winter, mowing height can be adjusted to 2.5 to 3 inches on the last mowing of the season. 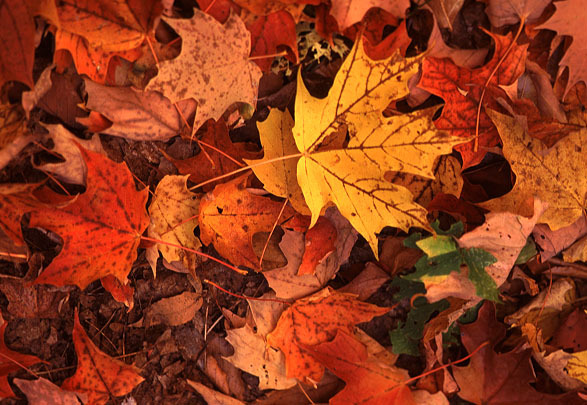 Mowing at a lower height for the winter also helps to eliminate leaves from matting up in the grass. Should I choose weekly or bi-weekly mowing? All lawns should be mowed on a weekly basis in the spring and fall when the weather is cooler and there is more precipitation. During the hot summer months of July and August, mowing on a bi-weekly basis is appropriate. All properties with irrigation systems should be mowed on weekly basis. Ideally, only 1/3 of the grass blade should be cut during any mowing. When it is cool or the lawn is being watered, waiting more than one week allows for more than 1/3 of the grass blade to be cut and thatch buildup can occur. If you design and install my landscape, how will I maintain and care for it? Any designed or installed project by Just Landscaping can be maintained or serviced by Just Landscaping. How is project scheduling handled? All projects are scheduled on a first-come, first-served basis; as soon as we receive your signed contract with deposit. Once we break ground on your project, we are there until completion. Any weather related delays during your job extends the proposed completion date accordingly, and all other projects on the schedule after yours are moved along the schedule as well. We never leave your job before completion, to go start another one! Is all of your work done "in-house"? 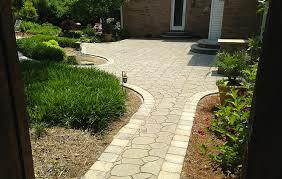 Just Landscaping provides a full service landscaping operation. We do call upon sub-contractors every now and then when needed. We will design, work with sub-contractors, and oversee all operation of the project to ensure the job is done to your 100% satisfaction. Does Just Landscaping use day laborers? No, we pride ourselves on the quality of work we perform. We properly train all of our employees to ensure top quality service is provided for each job. We would never jeopardize our promise of quality services for day-labor help. Is Just Landscaping licensed and insured? Yes. We hold all necessary licenses and are fully insured. We're are happy to provide verification of such documentation upon request.